This NYC based couple decided to shake up their summer in the city and have a casual yet elegant engagement pool party at the groom's parent's house in the suburbs. The theme would be drunk on love, a delightfully cheeky nod to their first meeting in a Midtown bar. As the Ubers pulled up, guests were greeted with a warm hug and a cool drink. The bride is originally from the South, so we made sure to highlight her Southern roots. Local North Carolina BBQ sauce was served along side pulled pork, and her grandmother's biscuits were towered high. 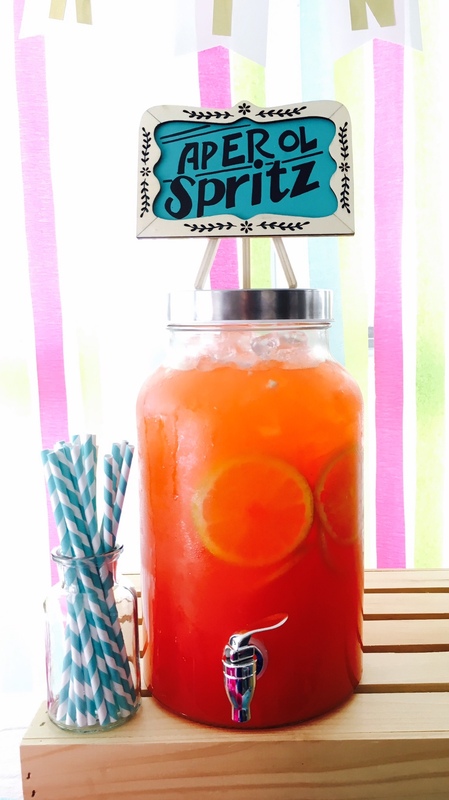 Herbed lemonade, sweet tea, and Aperol Spritz's were on tap for guests to enjoy. 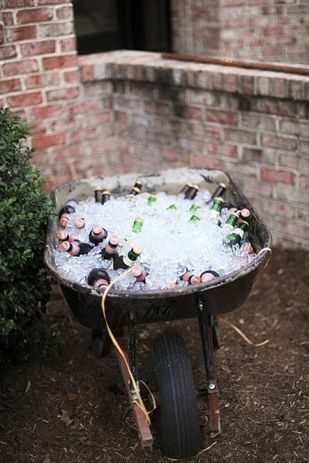 A fridge full of champagne went nicely with a custom "beer barrow." Bright pink, turquoise, and other colors that scream summer were used to set the scene. Thousands of twinkle lights gave off the perfect glow after the sun went down. A custom photo booth and props are always a crowd pleaser, no matter a guest's age. Toasts were given, a beautiful cake was cut, and every last person made it into the pool.